This LED bracelet watch is made of PU. It can display the hour, minute, second and date. 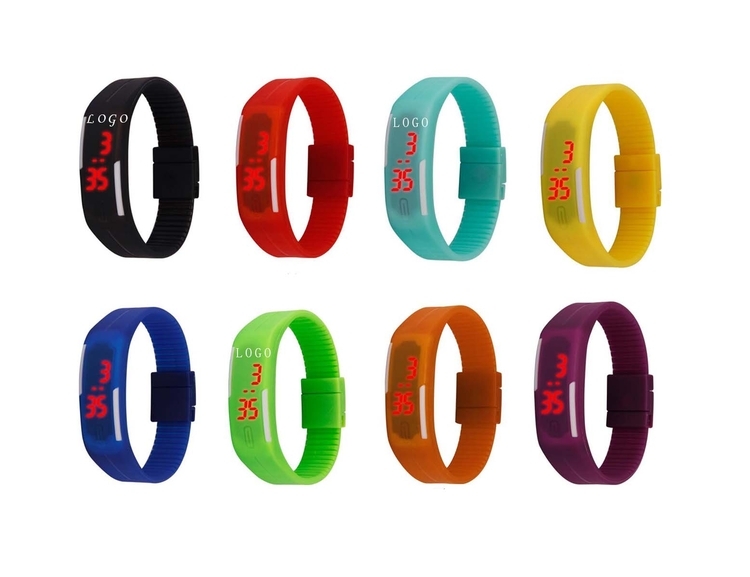 The bracelet can be adjusted to fit for different size wrist easily. It is a perfect choice for outdoor activities or daily lives. There are lots of colors for you to chose, logo can be imprinted in all colors. Imprint Size: 1" x 1/2"
Package: 1 pc/poly bag, 1000 pcs/ctn, 52.8 lbs/ctn. Price includes freight charge to any place in USA.